With increasing proliferation, technology continues to be a vital part of our lives. Read on to know more about how different forms of technology is impacting our lives. Technology is shaping up and guiding human lives big time. Well, this isn’t just a statement but the reality. Right from connected homes to virtual workspaces, tech advancements have impacted almost every sector across industry verticals. 79% of people perform their official operations on virtual teams while 94% of them are regular internet users. From full-time job roles, part-time positions to freelancing opportunities, technology has been and will continue to be an integral part of workforce development. Going by the facts and market studies, it’s quite difficult to ignore the effects of technology in daily life. Individuals are dependent on tech advancements for every minuscule operation, whether it’s giving verbal instructions to a virtual assistant or just switching on the television set. Unabashed and undaunted, technology has been leaving a significant impact on human habits and is continuing to do. Let’s breeze through the discussion to understand how the tech revolution is instrumental in transitioning human behavior and habits. Leading an organized life can be beneficial in ways more than one. When a person has some of the major activities running smoothly and systematically in his life, anxiety, and stress automatically reduce to a great extent. 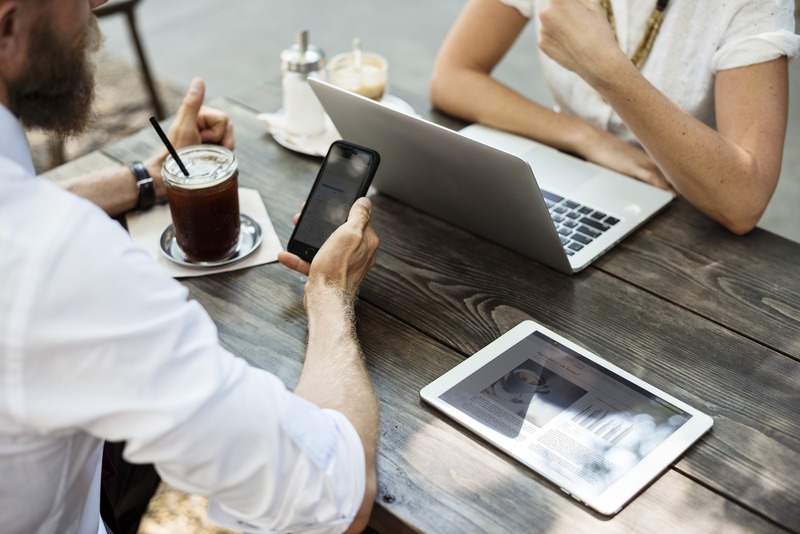 The ever-increasing number of smart homes and connected offices is ample testimony to the impact of tech advancement. People can just blurt out verbal commands to their virtual assistant even from a distance, and it will switch off lights, close doors, and even help you operate security cameras. While face-to-face interactions are still the most effective ways to vent out emotions, technology has taken communication to an entirely new level. Irrespective of locations, people can now connect with each other on a personal level. Social media applications, video conferencing, and voicemails are playing pivotal roles in bridging communicational gaps. Most importantly, tech developments have ensured easy, affordable, and swift access to these technologies. Time or locational differences are no longer vital issues when it comes to communicating with a person. The emergence of e-learning modules and online training opportunities have changed the face of education. Learning is no longer confined to four walls of an institution and physical boundaries aren’t that important today. Online schools, e-learning programs, educational content, and automated learning portals bring in flexibility and convenience for students across the globe. The emergence of innovative technologies plays the crucial part in influencing human habits and addiction. People are highly concerned about their health and are resorting to new measures as far as leisure and addiction are concerned. Individuals with a penchant for smoking can now enjoy the new smoking trend with the electronic cigarette. E-cigarettes can be a great way to carry on with the addiction in a smart way. However, like every facet of life, it is important to not be addicted to technology. People remain glued to their smartphones, tabs, and other gadgets for a long time. While browsing through online resources and sourcing the web isn’t a bad thing, creativity and innate thinking capabilities shouldn’t be hampered. Gone are the days when someone had to wait in long queues to book tickets for a trip. Today, just a simple click is enough to book flight or bus tickets. Automated ticketing systems and passenger tracking apps have ensured dual benefits. While the traveler has the opportunity to book a ride easily, the transportation service provider can also track the whereabouts of his rider. Ride-sharing services and personalized cab booking apps are the best resources for any traveler today. No matter where a person is going or at what time he wishes to have a ride, these services will help him get that without hassles. Technology is shaping the healthcare’s future with an application of tech innovations and modern discoveries in surgical operations have increased doctor’s efficiency to a great extent. Whether it’s a critical surgery or pathological examinations, the presence of high-end medical instruments and high-precision tools have reduced possibilities of errors. Even if it’s a critical disease, diagnosis and treatments have become easier than ever. Hospitals, patient-care units, and nursing centers are also finding it easy to manage patient records. The emergence of automated patient management and billing systems have helped them do that. That’s not all; the presence of special aids and gadgets like health tracker helps individuals keep a tab on weight, heart rate, and calories. Technology has been the prime force in influencing lives. Right from education and communication to health and addiction, tech advancements are creating a huge buzz. With the growing inclination towards tech innovations, people can surely hope for new transitions and changes in human lives.